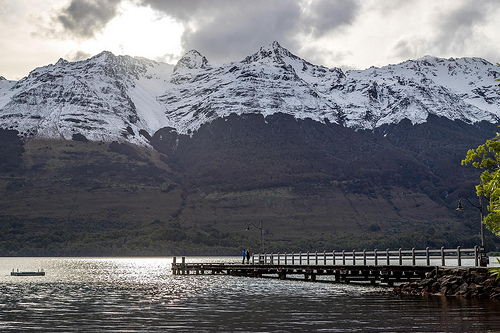 If you’re an outdoor adventure junkie, you’ve probably heard about Queenstown. Hey, maybe you even make an annual trek to this New Zealand island. There are so many outdoor adventures to get your heart pumping. And let’s face it, the views aren’t too shabby either. It’s a big trip for those of us on the western hemisphere, but if you’re up for it, a visit to New Zealand will undoubtedly offer a once-in-a-lifetime experience. And if you make a living from outdoor adventure of any type, as so many people do in the age of YouTube and Instagram, New Zealand should definitely be on your list. 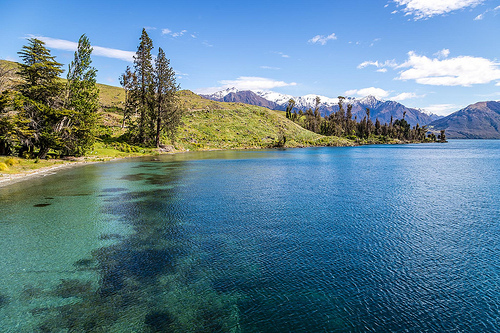 Here are 10 reasons why New Zealand is the perfect destination for an outdoorsy guru like yourself. You’ve been going on swings since before you were a year old. You probably think you’re a pro. But you haven’t seen anything like the Nevis Swing. This Queensland attraction is kind of like a swing and a bungee cord had a baby. One of the best things about the Nevis Swing is that it doesn’t take any particular skill, so virtually any adrenaline junkie can do it. It’s one of those things you’ll want to do at least once in your life, so if you’re in New Zealand, head to Queensland for a ride on the craziest swing you’ve ever seen. While you’re in Waitomo, New Zealand, you’ll probably want to spend some time exploring the caves. And while you’re at it, pop on your wetsuit and go black-water rafting. You can reach the black waters through one of Waitomo’s caves where you’ll go from waterfall to waterfall on tube. You may be wondering why it’s called black-water rafting. The water isn’t actually black, but since you’re tubing through dark caves, it may as well be. If surfing is your sport, a trip to New Zealand is most definitely in order. No matter where you go, you’ll never be too far from the ocean, and there’s a good chance you’ll find a surf break to ride. New Zealand boasts 15,000 kilometers of coastline with many breaks, points and reefs. It’s basically a surfer’s paradise. But if you’re planning a trip around this sport, you may want to spend most of your time surfing the north coast. You may not make the trek to New Zealand for bungy jumping, but it’s something you’ll almost certainly do while you’re there. Regardless of your age or fitness level, bungy jumping is like a rite of passage in New Zealand. You can jump from so many different landscapes that it may be difficult to choose. Leap from bridges, cliffs, stadium roofs or rail viaducts. The Auckland Sky Tower sits proudly at 328 meters above sea level, and it offers quite an amazing view. You don’t have to jump from here, but the outdoorsy guru in you will insist. It’s a controlled jump that allows you to fall at speeds of 85km/hr. Because of this, it’s actually slower than a bungee jump, but the controlled speed can help you enjoy the view and the experience a bit more. If you’re a next-level kind of person, a standard hiking trip simply won’t do. Even a hike under extreme conditions might induce a yawn for an adrenaline junkie like yourself. Instead, you need to hop on to the next plane to New Zealand and try your hand at heli-hiking. Just like a scene out of your favorite adventure movie, you’ll board a helicopter that will take you to a remote location where you’ll be dropped off to begin your hike. In most cases, you’ll be starting at the summit, or the part of the hike with the best views. But you can expect an extreme hiking experience nonetheless. You may have swam with dolphins on a Caribbean vacation, but this experience is a bit different. In New Zealand, you can expect a completely wild experience. There are no pools or manipulation techniques. So if a dolphin swims beside you, it’s because that dolphin chose to do so. The good news is that dolphins are notoriously curious creatures, and they almost always choose to be around people. Kaikoura is one of the best places to swim with dolphins. Not only are you more likely to see them here, but they are known for their acrobatic activity, so you can brace yourself for a real show. If you’re a fan of whitewater rafting, it probably doesn’t get much better than rafting Kaituna Waterfall. This is a Grade 5 rafting experience, so be sure you’re ready for the challenge. As part of the experience, you’ll raft down Tutea Falls, which is the world’s highest commercially rafted waterfall. Snowboarders will absolutely love the opportunity to show off their skills among the caramel-colored sand dunes. It’s not exactly the same type of experience, but it’s pretty darn cool anyway. You’ll feel small as you stand at the top of a 100-meter sand peak and see nothing but sand in every direction. It’s a heart-pumping experience, but you should know that it takes a ton of energy to walk back up those dunes again and again. Something you’ll want to check off your list, for sure, but save up your endurance for the experience. Is there any better way to see the Alps than from a birds-eye view? Probably not. That’s why skydiving will be on your list of must-do activities while you’re in New Zealand. It’s also one of those things that’s incredibly cool to say you’ve done. Actually, the same holds true for everything on this list. This may seem like a lot to do during one trip to New Zealand, but it’s definitely manageable. 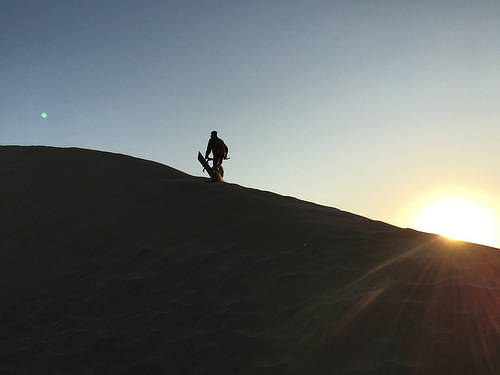 Consider getting your own transportation, and schedule a car service before you head to the sand dunes.